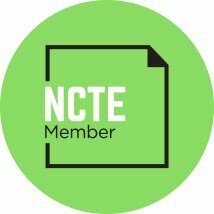 New Contest at Two Writing Teachers! Ruth and Stacey at Two Writing Teachers have announced a great new March contest--"The Slice of Life" Challenge. They are challenging bloggers to post and link Slice of Life Stories. On March 31, they will have a drawing for the winner. They suggest having your students write Slice of Life stories. They have great ideas, forms, etc. posted on their blog if you are interested in challenging your students. But I found it to be the perfect excuse to write our own Slice of Life Stories--those things we never take the time to write about. I already have a few ideas. I am pretty sure I won't win the contest but I am so excited to join in by adding a few of my own personal pieces. Stay tuned and join in the fun! by Robyn Sarah from A Day's Grace: Poems 1997-2002. The middle of the poem made me slump down in my chair. But then the ending. The truth of the ending. The glory that makes us cling to life even when our bodies betray us. Even when current events seem to be going somewhere in a hand basket. I'm listening to The Amber Spyglass by Phillip Pullman right now. Lyra and Will are in the Land of the Dead. I dedicate this poem to them, to the force of life, to all of the amazing things we each will do with our lives. Kelly Fineman has the roundup today. I got an email this week with the subject, "Are you snowed in?" The answer is no, we're not snowed IN, we're snowed UNDER. We'll be back just as soon as one or the other of us can get our head above the drifts. Lots of fun moments, but this was my favorite: I was doing my presentation on blogging. Approximately 1% of the conference attendees were in my session, most notably, Megan, from Read, Read, Read. Karen came in towards the end. Katie was at the conference, too, and of course, so was Franki. Small world, eh? It gets better. My formal (if you can call it that) presentation was over and conversation had turned to tracking blog statistics. I went to SiteMeter. Just for fun, I showed them the world map view of the last hundred visitors to A Year of Reading. When our blog was new, I used to spend a lot of time poring over that map, wondering how someone in India or Australia had found our blog. It's been a long time since I looked at the map. As the cursor passed over the UK and the ID box for Glasgow popped up, I realized that I knew who that was! TadMack, you, too were at my presentation on Saturday. Now that's a small world! As I sat at my desk pondering the topic of this chant, I looked at the walls above my desk: at the thunderhead and windmill photo I've had since high school, at the 3-D map of Colorado my friend Jim gave me when I was desperately homesick my first two years of teaching in Dallas, at the meadowlark print that can take me back home in a glance. Behind me on the bookshelves I scanned an entire shelf of beloved books by western authors and books about the women's history of the westward movement. And I had my topic. This is a chant for the landscape of my growing up years -- the wide, flat, empty, semi-arid short grass prairie of eastern Colorado. The chant is comprised of images, authors, and, in italics, book titles. Gretel Ehrlich, Willa Cather, Wallace Stegner. Nothing To Do But Stay. I wrote this chant for Miss Rumphius' Monday Poetry Stretch. The Poetry Friday roundup is at Big A little a. The beginning of this book is very scary. Very. It is scary, and it hooks you immediately, and it makes the pain and grief of Emily, Navin and their mother very real. The three have gone to live in an old ancestral home and start a new life. While they are cleaning up the wreck of a home that was left to the kids' mother by her grandfather, Emily finds a pendant and has Navin tie it on around her neck. Little does she know that the pendant (the amulet of the title) will glow, have the power to save her and her brother from a creepy tentacled creature, talk to her, make demands of her, and ultimately be needed to try to save their mother. The kids are aided in their quest to save their mother by a pink cartoon bunny named Miskit and a variety of robots, some kindly, one sarcastic, and one an obviously rehabbed vacuum that says, "Squeet." My favorite moment in the book is when the house gets up on its feet and climbs a mountain. Kazu Kibuishi is the editor of the popular Flight anthologies of graphic short stories. Volume 3 was nominated for the 2006 Cybils, and Volume 4 made it to the short list of the 2007 Cybils. That is just to say that the art and the storytelling in this book are top notch. Scholastic's Graphix imprint is shaping up to be a showcase of some of the best talent in graphic novels, and not just a hurry-up-and-jump-on-the-graphic-novels-bandwagon sort of imprint. Amulet will appeal to the fans of the Bone series. Scholastic's readability range is 9-12, but I can see some 7 and 8 year-olds loving Amulet. There's just one problem: we have to wait for book two! Monday snuck up on me this week. Here's someone who's with it -- go check out Karen's post at Literate Lives. The roundup is at Picture Book of the Day. My students are going to love this book! We've been on a read aloud tangent recently -- books that are take-offs of folk tales ( The Boy Who Cried Wolf, The Wolf Who Cried Boy, The Dog Who Cried Wolf, Wolf! Wolf!) and books that reference folk tales or fairy tales or Mother Goose rhymes in the telling (Mary Had a Little Ham, And The Dish Ran Away With the Spoon). I was tickled to see two girls sprawled out on the floor last week with Tomie dePaola's Mother Goose searching for half-forgotten or half-learned rhymes. Previously begins as Goldilocks arrives home all bothered and hot. PREVIOUSLY she had been running through the dark woods because PREVIOUSLY she had been at the three bears' house, and PREVIOUSLY she had run into a boy who was also running through the woods but he had a hen under his arm. A boy named Jack. Who (glad to have this cleared up once and for all) has a sister named Jill. Ahlberg PREVIOUSLYs the reader all the way back to Once Upon a Time in a very satisfying story that looks back over its shoulder to lots of well-know characters and tales. 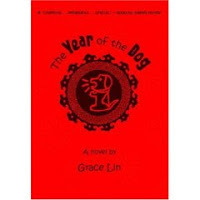 I LOVED THE YEAR OF THE DOG when it came out last year so I was THRILLED to see this sequel at the bookstore last week! 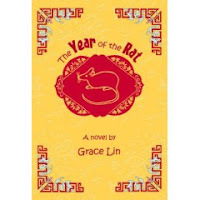 The Year of the Rat by Grace Lin is another story about Pacy and her friend Melody. In THE YEAR OF THE RAT, Pacy knows that this year means lots of change. Her best friend, Melody, has to move away and so many things are changing. I love the way Grace Lin ties in so many great issues--change not being so bad, stereotypes, traditions, and more. Just as in the first book, stories from the parents' past are woven into the story to teach Pacy (and readers) about something important. Ever since the kids in my class discovered THE YEAR OF THE DOG, I haven't seen it again. It is making its rounds. I know that when I show them this book next week, I may not see it again until June. It is a great book to fall in love with. I love these characters and the writing is amazing. I am sooo hoping that the series continues. I am hoping to hear lots more about this family! WRITE FAST, GRACE LIN. Inspired by April Pulley Sayre's three chant books Trout, Trout, Trout, Ant, Ant, Ant, and Bird, Bird, Bird, I set out to create a chant of all the blogs in my Google Reader. As you might imagine, I wound up with an even more profound appreciation for April's books. She works magic with animal names. I think I missed magic by quite a long shot. The 2007 CYBILS Winners were announced today. You can see the whole write-up on the CYBILS website. I was very excited about the list. I am especially excited that BOOK OF A THOUSAND DAYS by Shannon Hale is on the list--what an amazing read! I was part of the Poetry judging. What a fun time we had! Thanks to Gregory K (Gotta Book), Jone (Check It Out), Sara (Read Write Believe), and Cloudscome (A Wrung Sponge) for some great discussions! Such great poetry this year. If you have not read the winner, THIS IS JUST TO SAY by Joyce Sidman, I would recommend reading. I'll try to do a review soon but for now, check out the CYBILS site! By the way, Sara Lewis Holmes has my favorite CYBILS announcement of the day! I'm pretty sure Sharon Creech has already written this book once before. Maybe twice. Plucky brother and sister orphans who are mistreated but wind up in the care of interesting grandparent-ly people. Wasn't that Ruby Holler? Merge the brother and sister into one girl character, throw in storytelling and a search for identity. Wasn't that Walk Two Moons? Don't get me wrong. I'm not complaining. Obviously these story bones have great resonance for Sharon Creech, and I think any child who reads by author will be delighted to discover this. Any child who reads by book has at least a one in three chance of reading some version of this story if they dip into Sharon Creech's works and promptly dip out again. I loved the 56 short-short chapters (also a hallmark of Ruby Holler) and the illuminations by David Diaz. I loved the mood she set with the language and the mirroring of the peasant and noble worlds. I loved the hermits. I want one. I also want a tunnel of hornbeam trees. No need to wish for a wordsmith. I've got Sharon Creech and a thousand thousand others who will keep me entertained for years to come! Join us in welcoming our friends and colleagues Karen and Bill in the launch of their co-blog, Literate Lives. Because Karen, Bill, Franki and I have all taught in the same district for lots of years, our paths have crissed and crossed many times depending on what buildings we were at, what grades we taught, what committees we were on, and what teacher (or now, librarian) hats we were wearing at the time. And now we're sharing this blogging path. Very exciting! I am partial to sheep books. Every since I read Wool Gathering: A Sheep Family Reunion, I keep my eye out for amusing sheep characters. Woolbur by Leslie Helakoski may be my new favorite. First of all, he is adorable. The cover illustration lets you know that this is a character you'll come to love. The inside flap calls him a free spirit. He is a leader in his own sense--making his own rules and having fun with life in general. He doesn't like to play by the rules--he likes to do his own thing. And his parents worry and worry. The lesson hits you over the head in this book but that is okay because Woolbur is such a great character, you feel his joy in living in the moment. Love this book! And the new Fancy Nancy book came out this week! I think it might be my favorite of the three. Fancy Nancy Bonjour Butterfly I like the yellows in the illustrations and I love that Nancy is dressed in butterfly apparel. This story is more than about being fancy--it is about having to miss a friend's birthday party to attend a family event. Even though Nancy is initially disappointed, she has a great time at her grandparents' anniversary party. I am excited about all of the upcoming easy readers, etc. that will be coming out soon. I am not usually a big fan of these types of books but kids LOVE this character so giving them some books that they can read on their own makes sense tome. Can't wait to see what Fancy Nancy will do next! Have a good one, Mo! I'm going to cheat a bit today. The nonfiction part of my post is not a book. Instead, I give you some links for nonfiction reading you might do before or after you finish Margaret Peterson Haddix's book Uprising: Three Young Women Caught in the Fire That Changed America. Wikipedia -- What else happened in 1911? This book should be required reading for all women and girls -- to remind us or teach us how far we've come in the struggle for equal rights. This book should be required reading for anyone whose ancestors were immigrants in America -- to remind us or teach us about the sacrifices that were made to make our cities and our country what it is today. This book should be required reading for anyone whose association or union is currently involved in negotiations -- to remind us or to teach us the importance of the rights of the worker. Haddix has written a story that is very accessible. Framed in the beginning and the end by young women who are questioning a survivor of the Triangle Shirtwaist Factory Fire, the story is told from three points of view -- Yetta, a Jewish girl who is a Russian immigrant, Bella, an Italian immigrant, and Jane, a high society girl. These three stories become entwined in very believable ways, and the ending, while tragic, provides hope, both for the future in the story and for our modern day future. Anastasia Suen at Picture Book of the Day is hosting the Nonfiction Monday round up. 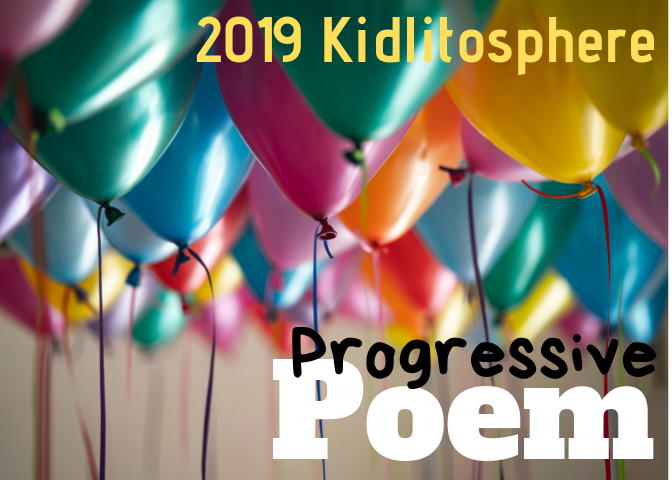 I was going to feature Oh, Brother (Nikki Grimes) for Poetry Friday last week. Luckily, I did a blog search and remembered that the book made it to my "To Buy Soon" list because of what I read here. 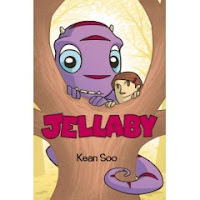 I read Jellaby (Vol. 1, by Kean Soon) yesterday and loved it. Fuse #8 reviewed it yesterday and loved it even more. There's a new nonfiction blog in town. I.N.K. made its debut a week ago. John Edwards had been out of the race for two days before I got the news. Cybils winners will be announced this coming week. Go take the surveys at the Cybils site while you wait. Hand-lettered on chipboard when I was between 16-18 years old, this was within sight of my desk for lots of years. Maybe as much as a decade. I think it reminded me to love my work. I think it said to me, "If you're going to go down, go down in the flames of your own fire. Don't go over to the other side just to survive." I found it the other day in the two-drawer file cabinet in my closet in a file labeled "Food For Thought." Maybe it's time to hang it over my desk again. The Poetry Friday Roundup is at AmoXcalli this week. Even though I declared it "Required Reading," maybe you're not up for a 500+ page graphic novel about a Japanese family's experience when their first child is diagnosed with autism. Maybe you just need some helpful strategies for the child who is in your classroom. Things you can do tomorrow. In my experience, the best resources are the people who know the child well. Our school is lucky. We have experienced paraprofessionals who work with our special needs kids, with our special education teachers, and with regular education teachers throughout the elementary school career of the children. They are invaluable. I asked our special ed teachers what professional books they would recommend for teachers of autistic children. Rather than books, they recommended Autism.com. The site is searchable -- try "teachers" or "teacher resources" for starters. Are there any other great (practical) resources you would recommend? I didn't think April Pulley Sayre could top Trout, Trout, Trout and Ant, Ant, Ant, her first two chant books. But she has! 63 names of American birds, arranged in a rhyming chant and illustrated with caricatures, invite the reader to experience the diversity of bird life in America. This is not a serious birding book. This is a book for sparking interest based on the sometimes descriptive, sometimes wacky names of the birds. In the back of the book, each bird gets 1-2 sentences of factual information. This is also a book for word lovers and poets. April must do some serious tinkering, fiddling, and reading out loud before she has a final rhyme. And then, how fun to see it come to life in a whole new way once the illustrations are added! How's this for a poetry stretch -- could you take the names of a group of, say, 10-20 rodents, or mammals (or even poets, authors or bloggers) and make them into a rhyming chant? I'm heading over to Miss Rumphius right now to suggest it! Our interview with April last year is here. Charlotte's Library got an advanced copy of April's next book, Trees Are Made of Trout (I'm so jealous! ), which she reviews here. The Nonfiction Monday roundup is here. I so needed this reminder that all of life is a process, including life in the public schools. It's about the kids, not the tests. It's been a long week, what with parent conferences on Tuesday night. I'm feeling a bit like Sisyphus, and not always as sure as the poet that there is a benevolent Big Plan. ** Still, I do celebrate, like Countee Cullen, our quirky human experience on this amazing planet. **Almost at the exact moment I hit the "publish post" button, the phone rang. Two hour delay because of the icy rain last night. That's as close to a lightning bolt as I want to get, so I now stand IN TOTAL AGREEMENT with Countee Cullen!!! !